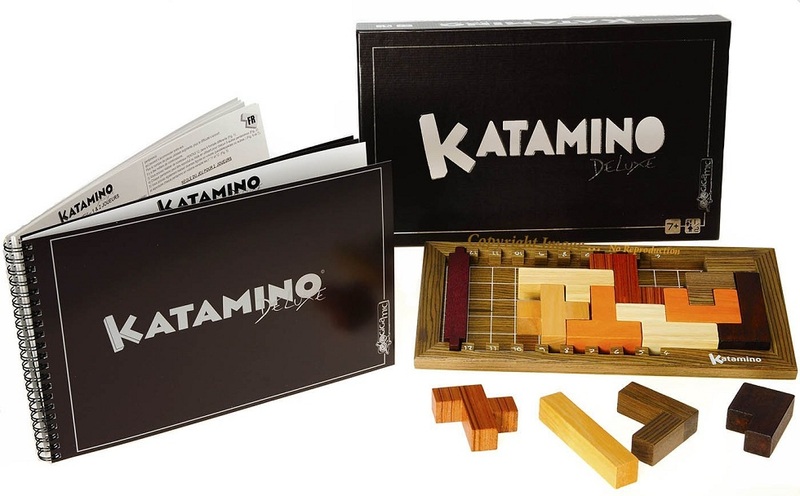 Approximate Dimensions: 13" x 7.9" x 1.9"
Deluxe Katamino Pentominoes Puzzle is an intelligent fill-in and shape creation puzzle. Set the center guide post to create a "Fill-In" area. See how many combinations of pentominoe pieces can be used to fill-in the area. Expand the fill-in area by moving the centerpiece up one number (from 3 to 4 or 4 to 5 etc.). This creates an all new challenge. The larger the area the more challenging the puzzle. Numerous combinations of pieces can be used as solutions for each section. Pentominoe Pieces are solid shapes which are made of five square blocks joined together smoothly in one piece. There are 12 different/possible pentominoe shapes created by five squares. 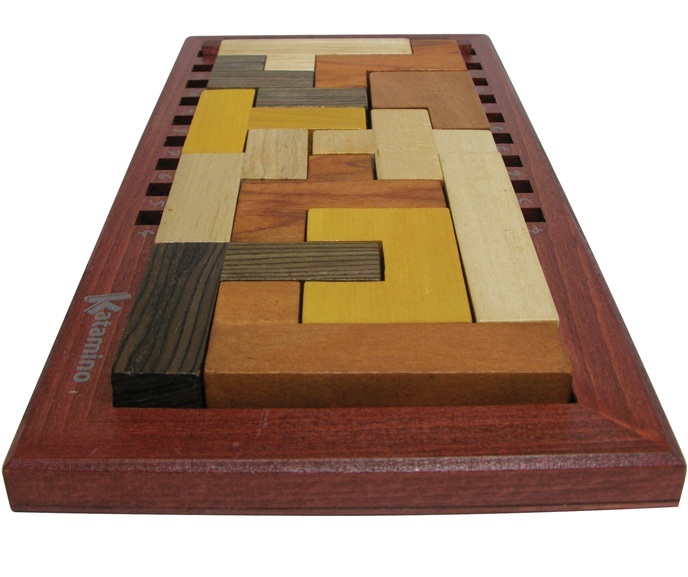 This puzzle includes all 12 pentominoe pieces. A PENTA is 3 or more pieces joined together to form a single unit. Deluxe version of this game is great to leave on coffee table or bookshelf. Sure to attract curious minds. Great puzzle to help develop spatial skills. There are hundreds of puzzles to solve. Recommended for ages 5 to 105 years. See if you can create your own three dimensional shapes of everyday objects using the penta pieces outside the frame. 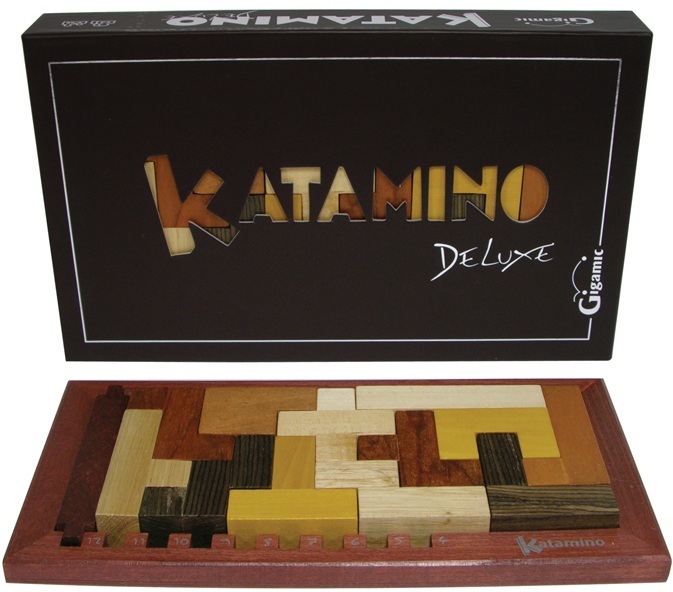 Manufacturer is Gigamic Games of France.